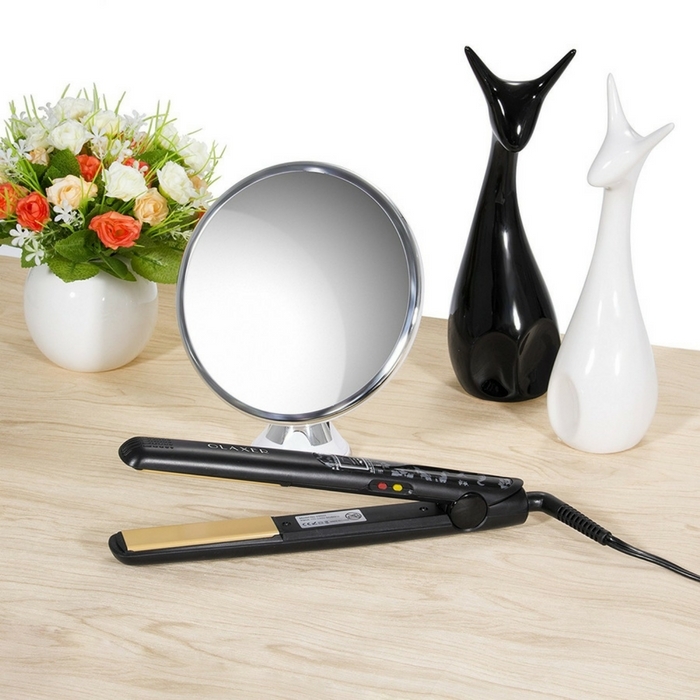 Hair Straightener Just $12.99! Down From $80! You are here: Home / Great Deals / Amazon Deals / Hair Straightener Just $12.99! Down From $80! Ladies, you’re gonna love this awesome deal at Amazon! Olaxer Hair Straightener is now on sale for just $12.99 down from $79.99 PLUS FREE shipping with Amazon Prime or for orders over $35! This flat iron contains tourmaline that reduce static and protect your hair from damage, make your hair soft, smooth and shiny! Tourmaline Ceramic Plate: More even heat distribution. 50-Second Heat Up: Get your new hair style instantly. 4 Heating Settings: Adjustable temperature from 330F to 450F. LCD Digital Display: Clear-view LCD screen displays heat levels. Auto Shut Off and 360 Degree Swival Cord.